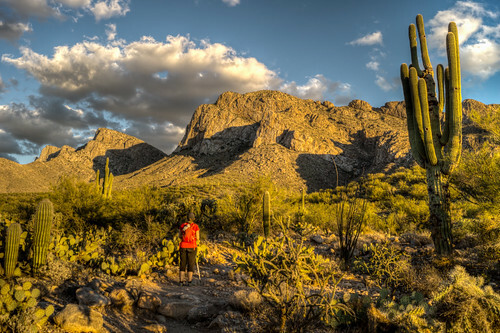 Hikers that live in Tucson, Arizona enjoy some of the best hiking around. The city is surrounded by 5 mountain ranges, each with their own unique look and feel. That many mountains means there are a lot of peaks to climb. Anyone who has looked up at a rocky summit and felt the inexplicable urge to be on top of it can appreciate the dilemma posed by so many choices. 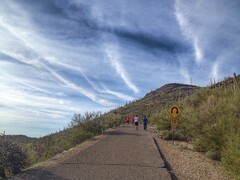 We aim to solve that problem with this post by identifying the best peak hikes in the Tucson area. If you haven't felt that urge to climb a mountain before, we hope you will by the end of this list. 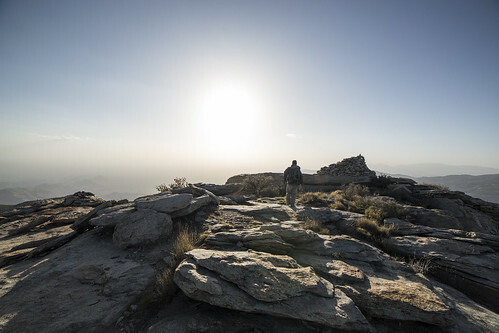 Out West of town by the Desert Museum, there is a solitary peak that doesn't get a ton of foot traffic despite offering outstanding views from a loop hike that traverses the top of it. 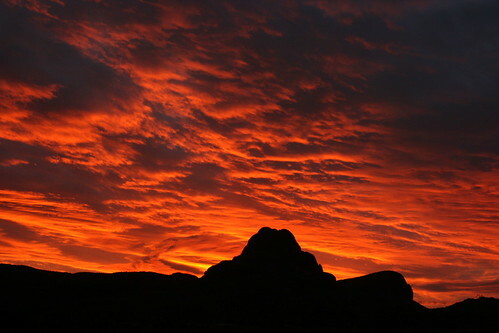 Sitting to the West of Tucson and Oro Valley, the signature silhouette of Safford Peak, which is more commonly known as "Sombrero" Peak, has made it an iconic landmark for locals. Like most such peaks, it calls out to the adventurous to be summitted. 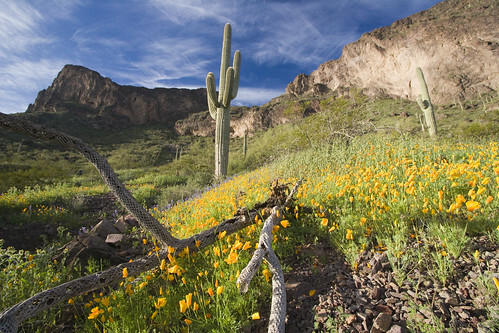 Gates Pass in the Tucson Mountains West of town is the most popular place to watch the sunset. But if you want to venture away from the parking lot more than a few hundred feet, you can take the unofficial trail to the top of this nearby peak for great views in every direction. 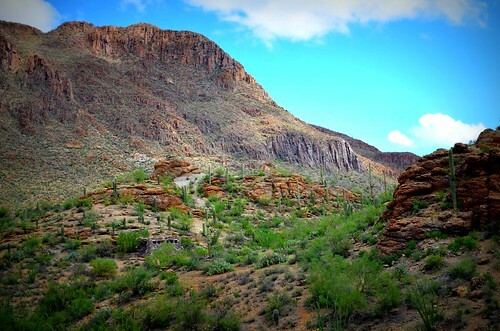 Of the 3 peaks in the Rincon Mountains, Tanque Verde Peak is the closest and most accessible from Tucson. It's a long day hike up Tanque Verde Ridge, but well worth it. The last mile or so to the top can be tricky as you follow any number of cairned routes to the supreme spire, where you'll have to use a rope to help you get on top of it, but many would argue that it's all well worth it. Although it's nearly impossible to get on top of the iconic Finger without climbing gear, you can reach the summit of the Guard that sits just to the East (right) with only your hands and feet. 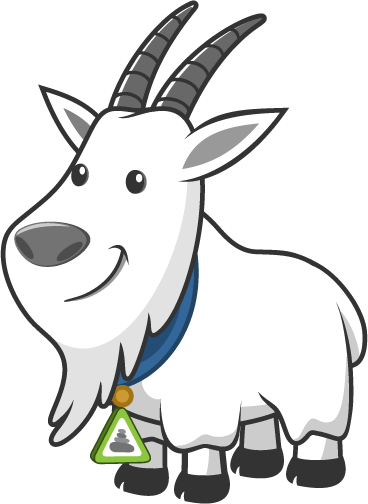 This hike is off limits from January 1st through April 30th to protect the bighorn lambing season. 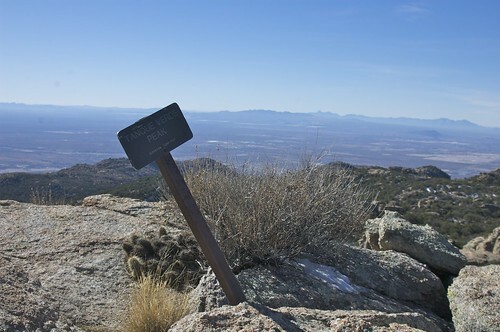 In the Rincon Mountains East of town, there is a triangular peak that shares its name with the range itself. It provides some of the best views for those that are willing to make the long hike to the top. 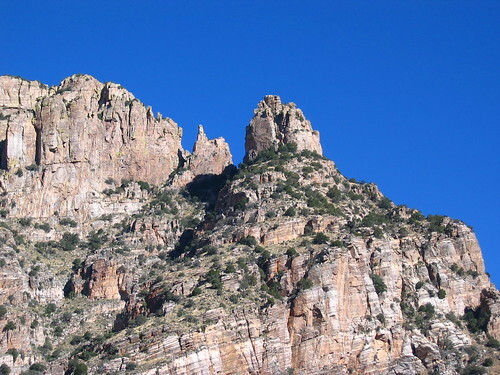 It requires more imagination for some people than others to see the stone pachyderm poking out from the West end of the Santa Rita Mountains, but everyone who makes it to the top is rewarded with a consistently spectacular sight, no imagination required. 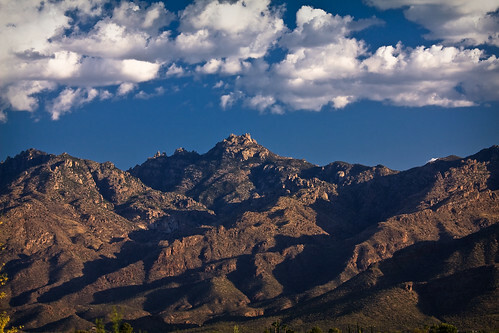 To the Northeast of Tucson, right in between the Santa Catalina Mountains and the Rincons, sits "Hot Water" Hill. It's something of a hidden gem since the summit is both more beautiful and less popular than many others around town. 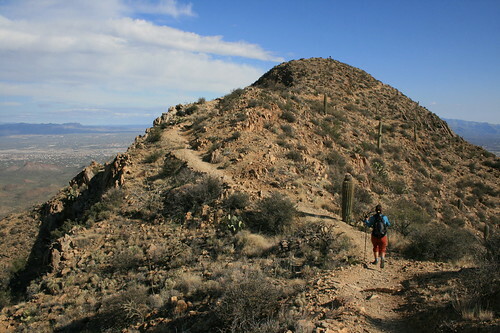 The highest peak in the Tucson Mountains to the West of town, Wasson Peak offers outstanding views of the entire area. 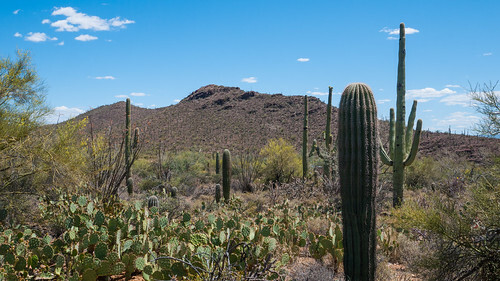 It's hard to miss the distinct shape of Picacho's spire as you drive between Tucson and Phoenix on the interstate. Sticking up from the desert like a giant shard of stone, this peak beckons hikers from miles away. 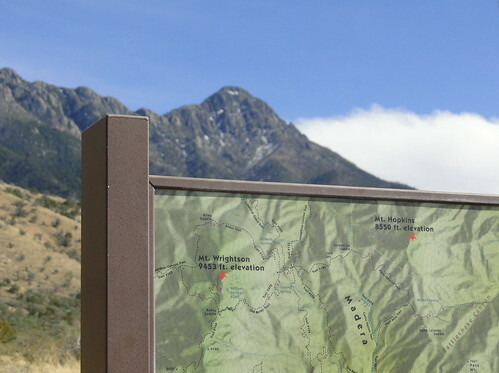 The trail to the top is unofficial and it's actually off limits from January 1st through April 30th to protect the bighorn lambing season, but if you can make it up the steep and slippery trail, the views at the top will be well worth it. 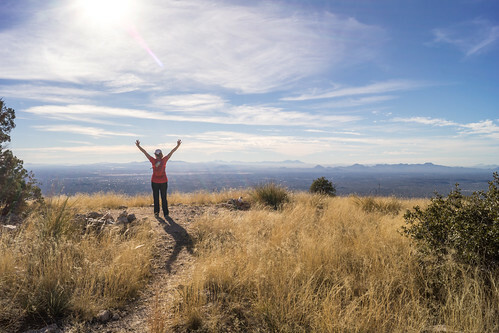 Being surrounded by 5 different mountain ranges means that there are a ton of great peaks around Tucson to hike to, but we can't put all of them on the list or it would cease to be meaningful. 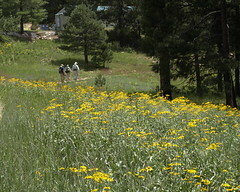 However, there are 3 hikes that are good enough to at least earn an honorable mention. They are Mount Lemmon, Tumamoc, and Mount Kimball. 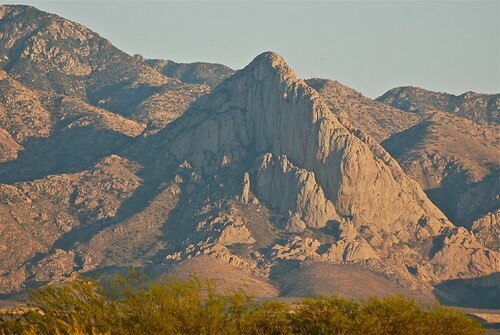 Standing at over 9,400 feet high, Mount Wrightson is the tallest peak in the Tucson area. It's summit is above the tree line, which is why it used to be called "Mount Baldy". That also means that you have phenomenal unobstructed views in every direction. Do you agree with our list? Did we miss an awesome mountain top? Which one of these is your favorite? Tell us your thoughts in the comments.